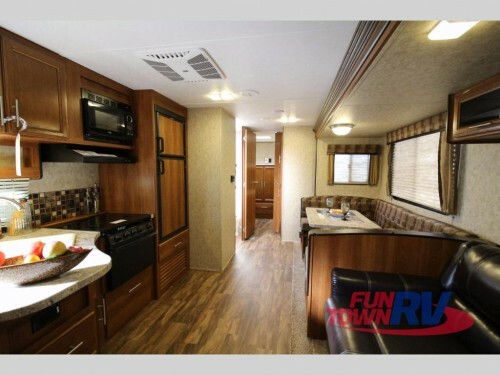 Find more to love in the Prime Time Avenger travel trailers for sale at Fun Town RV! Both inside and out, this camper is packed with features and amenities to bring comfort to the campground. Let’s check out some of these items in this Prime Time Avenger travel trailer review. Check out our Prime Time Avenger Travel Trailers! Each of these items will help make life at the campground easier and more enjoyable. But there’s more! Get more standard features than ever! Like the Thermal Plus Package. Being able to go camping all year long is just one of ways the Prime Time Avenger is better than other RVs. The inclusion of the enclosed underbelly, heated holding tanks, ducted air conditioning, and in-floor ducted heat will make setting and keeping your RV at the temperature you want so simple. This way, no matter what the weather outside is doing, you will be comfortable. Bring along more people in the bunkhouse floorplans and keep everybody comfy. Whether you need a smaller RV or want up to three slides and enough space to sleep up to nine people, these travel trailers will fit. 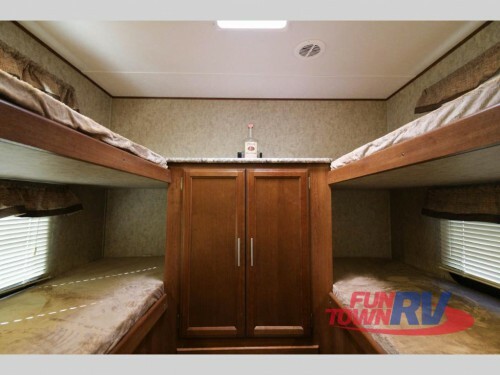 And in order to keep everyone comfortable, you will need more sleeping spaces like the queen master, bunkhouses, jackknife sofa with LED cupholders and USB ports, and more! Plus, with a full kitchen and bathroom, you will have all of the comforts of home right at your fingertips. 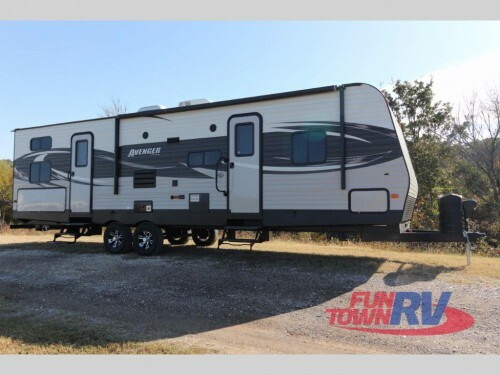 With all of these amenities and so much more, there is no end to the things you will love about our Prime Time Avenger travel trailers! Feel free to contact us or stop by our locations today to find out more about these and any of our other new RVs for sale.